Before the blackface scandals erupted, Virginia Attorney General Mark Herring had said he planned to run for governor in 2021. In an interview, he said those plans are not on his mind at the moment. 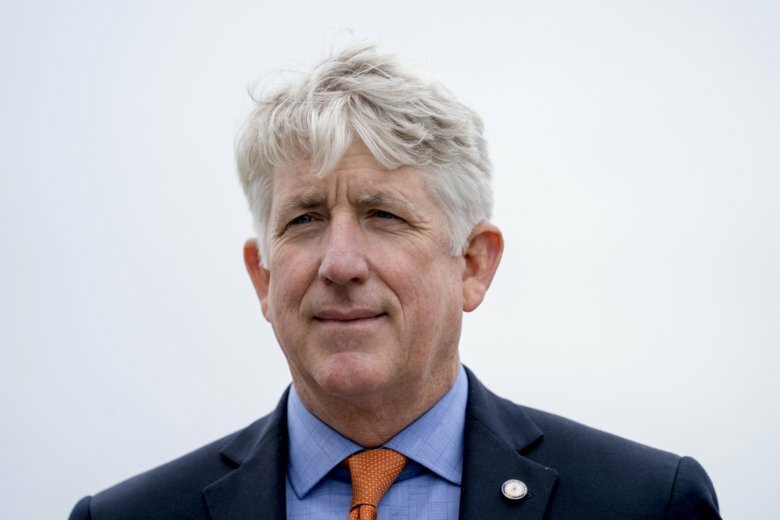 RICHMOND, Va. (AP) — Virginia Attorney General Mark Herring on Monday defended his handling of a blackface scandal, and he did not rule out a future run for governor at the same time he promised to repair the harm he’s caused. Speaking on The Kojo Nnamdi Show on WAMU in Washington, the 57-year-old Herring apologized repeatedly for dressing up like a rapper with a wig and brown makeup while attending a party in 1980. The interview marked his first in nearly a month since he admitted to wearing blackface while a student at the University of Virginia — an admission that came just days after he’d condemned Gov. Ralph Northam for similar behavior. “It was a one-time occurrence, and it is something that has haunted me for decades, and I’m so very sorry for the hurt that I’ve caused,” Herring said. Herring is one of Virginia’s top three Democrats, all of whom have been embroiled in scandal recently. Like Herring, Northam has apologized for wearing blackface decades ago. Lt. Gov. Justin Fairfax, meanwhile, has vehemently denied sexual assault allegations from two women. Many of the Democrats who called for Northam’s resignation have been more forgiving of Herring, who would be replaced by a Republican if he stepped down. Northam would be replaced by Fairfax. Herring defended his decision to call for the governor’s resignation, saying he only did so when it became clear that Northam had lost the public’s trust. The governor initially apologized for being in a racist picture that surfaced in his 1984 medical school yearbook. A day later, Northam said he wasn’t in the picture but had dressed in blackface during a dance competition the same year. “For me, it was really about the public trust and I want to be clear about this: I would hold myself to the same standard,” Herring said. Critics have assailed both Northam and Fairfax for how they’ve handled their respective scandals. Northam’s been ridiculed for an awkward performance at a news conference while Fairfax has been criticized for comparing himself to Jim Crow-era lynching victims. Herring, though, kept an extremely low profile and all but disappeared after issuing his initial statement. Republicans on Monday said Herring’s re-emergence rang hollow. “Mark Herring thought appearing in blackface was worth resignation when it was Ralph Northam. Now he’s tying himself in knots trying to explain why his blackface scandal is different,” said Garren Shipley, Virginia communications director for the Republican National Committee. The attorney general did not directly respond to questions about whether he still thinks Northam should resign. The governor has resisted widespread calls to step down, instead saying he wants to focus on racial reconciliation during his remaining three years in office. Herring has said that is what he wants to do as well. Before the blackface scandals erupted, Herring had said he planned to run for governor in 2021. He said Monday that those plans are not on his mind at the moment. “Obviously, I am not thinking about that at all. What I am focused on is what has happened in Virginia over the last month and what I might be able to do to repair the damage,” Herring said.